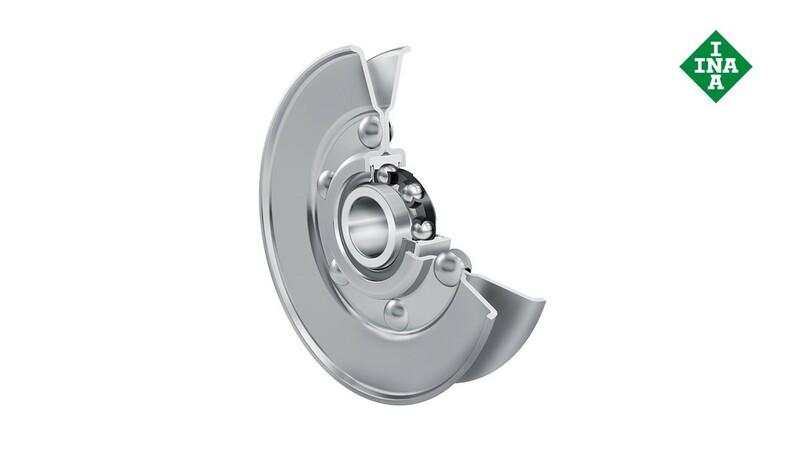 The ready-to-fit units comprise deep drawn, profiled sheet steel pulley halves riveted together and deep groove ball bearings. Pulleys of larger diameters are additionally welded together. A lead chamfer on the pulley profile prevents damage to the belt. Due to the sheet steel construction, the additional rotating masses and the out-of-balance masses generated are low. Type A is suitable for V-belts, type B for flat, V and round belts, type D for round belts, steel cables and hemp ropes.